Sometimes we have mid-season finales that end with a dramatic event where lives are in peril. Other times, we have episodes where the peril is our emotions. That latter was the case this season, where our hearts are hurting and we are left to consider the implications for the next six weeks of hiatus. Sadness abounds. With an episode that held not only The Darkness, but Lucifer himself, we knew we’d be in for a rough ride. Before we get to the dramatic Cage-related reactions, let’s concentrate on what happened topside with Amara. She’s a very determined woman, and bound to temper tantrums. Definitely do not want to be on her bad side, though it seems that she will kill everyone on Earth if it will bring out her brother. I keep hoping we’ll see MIA!God before the season is over, though. Not just because I want to see Chuck again, but also so the long line of interested parties can question him on why he’s spaced out on helping when the world has faced tremendous threats over the years. I was also surprised that when the angels were gathering ranks, Cas was not there. It seemed like a perfect set-up to integrate him into the storyline for the episode, but like his father before him, Cas was MIA as well. Not quite sure why, but I just went with it. Besides, there was plenty more drama without the angel in the picture. I fear for Dean’s outcome, as it appears he is constantly under Amara’s spell, even when he tries to fight against it. She’s got such a lure, such temptation, that it might be hard for him to resist. Good for him for fighting against her offers in the episode, but it’s just a lead-up to the dramatic showdown that is to come. At the moment, I’m more concerned about what Dean’s reaction will be when he finds out Sammy’s fate. Storming the gates of Hell seems like a pretty good possibility. I just hope his plans don’t include making deals with a certain Dark mistress. Both Rowena and Crowley were fantastic in the storyline. I liked that Rowena was falling over herself in lust over Lucifer. She’s just the kind of person who would try to love up on him, for the power balance. And she would be a force to reckon with if she and Lucifer hooked up. Then there’s her son. For all of Crowley’s bravado, it was quite telling to see that he’s still afraid of Lucifer. He knows that his throne and his life would be in jeopardy if Lucifer were ever allowed to step foot out of the Cage. But then there’s the situation that they’re left with. 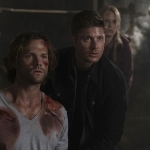 How can Sammy get out without letting Lucifer free as well? And what might that mean for the world? 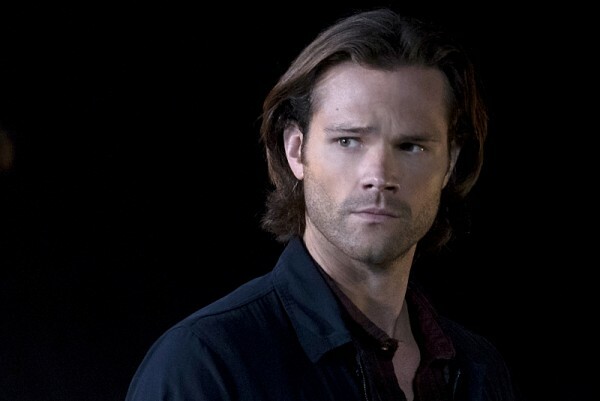 Sam had a great range of emotions in the episode. He was terrified, but tried to remain strong against Lucifer during their conversations. 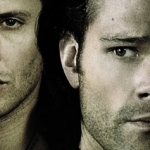 Sam refused the offer to be Lucifer’s vessel again, even if it meant they would succeed against the Darkness. But, alas, it was all for naught because of the end revelation. I wanted his visions to come from God, for the boy with the demon blood to be chosen by the ultimate representation of good, but alas, I knew it couldn’t be that way. And seeing his reaction when he learned the truth was just very sad. 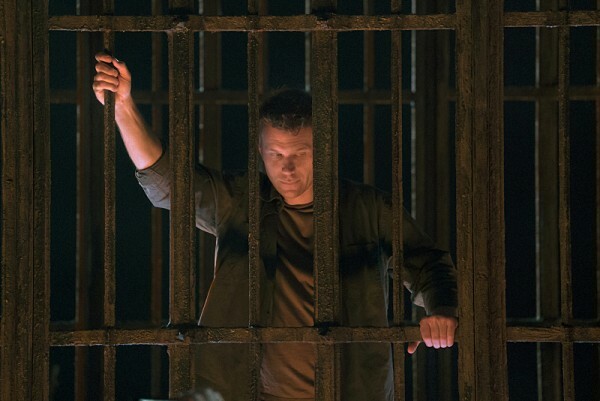 When Lucifer got him in the Cage and Sam’s tears started it was over for me. He’s so scared, so lost, and there’s no one there to help him. I hope that Dean can get to him before he goes too crazy, but I just don’t know. Also, where is Adam!Michael? Once again, the youngest brother is forgotten. There are a lot of things going on in that Cage, and none of them are good. It’s going to be a long hiatus, leaving us to ponder the outcomes.